Is An Emergency Tooth Extraction Needed? Emergency Dentists USA is your premier resource for choosing a Garden Grove emergency dentist whether you live in the city or are visiting on vacation. From dental clinics that offer office hours on Saturday to after-hours appointments as late as 8 p.m., Emergency Dentists USA provides you with the Garden Grove emergency dental clinic that suits your dental emergency right now. Simply scroll through our comprehensive listing of emergency dentists to select the dentist that offers office hours to get you out of pain right now or check out our 24-hour dental emergency hotline to speak with an operator who is trained to help you select a great dentist and even set up that first dental appointment. Great website, full of helpful information if you are ever facing a dental emergency I suggest you check it out! Emergency Dentists USA makes it easy for you to select the Garden Grove emergency dentist who suits your needs right now. Our convenient listing of dental clinics provides you with all of the information that you need to make the right choice when it comes to selecting a dentist, even when you are on vacation. Regular dental clinics that offer after-hours appointments make it simple for you to get the dental care that you need on your schedule. Dr. Dang at Dental Group of Orange County provides you with dental appointments in the evening or on the weekend when necessary. Clinics that specialize in being open 24 hours a day are usually attached to a university. Garden Grove does not offer 24-hour dental clinics but does have excellent hospital emergency departments that are open 24-hours a day and seven days a week. Emergency Dentists USA provides you with a comprehensive listing of specially selected Garden Grove emergency dentists to treat your dental emergency quickly. Use our convenient listing of emergency dentists located below to choose a great emergency dentist who offers office hours that suit your needs. Description: Dr. Dang and the other excellent dentists at Dental Group of Orange County are standing by to ensure that your dental emergency is treated quickly and as painlessly as possible. With a state-of-the-art dental office and digital x-rays, this dental clinic provides the prompt customer service and care that you need when you are in pain from a terrible toothache or a broken tooth. A caring office staff answers all of your questions and the Dental Group of Orange County strives to keep their prices affordable. Description: With openings on the weekends to provide quick and pain-free dental care for your dental emergency, Garden West Dental and Orthodontics is the right choice for your dental problem right now. With well-trained and caring dentists, Garden West Dental and Orthodontics offers everything from a simple cleaning and x-rays to full mouth restorations that make your smile beautiful. Dr. Botros works hard to make your dental visit a walk in the park with his experience in oral surgery and implant dentistry. Description: Brookhurst Dental Group is located right on Brookhurst Street in Garden Grove, making this office convenient for anyone visiting the city. With four excellent dentists on staff, Brookhurst Dental Group always has time to treat your emergency and make you feel comfortable as quickly as possible. Dr. Yeung is an oral surgeon who is standing by to set up your dental implants, and Dr. Phan has special training that makes that root canal something that you do not have to dread. A caring staff and state-of-the-art technology make Brookhurst Dental Group a leader in dentistry. Description: Dr. Hong at Century Grove Dental Care is supportive and caring, even when your dental care has lagged behind the standard two visits per year. His spotless office on Century Boulevard in Garden Grove is equipped with state-of-the-art dental technology and his well-trained dental hygienist is kind and gentle. Your dental care, from simple x-rays to a full mouth restoration, is in good hands when you visit Century Grove Dental Care. Open on Saturday, this clinic provides space for emergency appointments on the same day in most cases. *Have your paperwork, health records, and insurance information ready. Your Garden Grove emergency dentist can use these items to help him or her to choose the right course of treatment for your dental emergency. *Arrive 15 minutes early to facilitate filling out paperwork. This gives you plenty of time to complete the paperwork and to ask questions about your upcoming dental treatment. *Check to ensure that your dentist accepts your preferred form of payment. Most Garden Grove emergency dentists accept cash, checks, credit cards, a variety of dental insurance plans and some even offer low-interest payment plans for larger services. *Make sure you know if your insurance is accepted at this dentist. Choose a dentist in your dental network can save you money when it comes time to pay that dental bill. *Bring a current list of your medications with you to visit your Garden Grove emergency dentist. 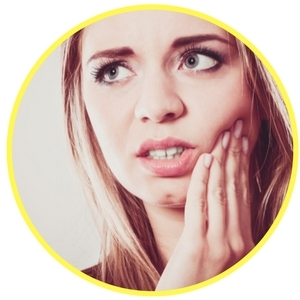 Some of the most common of all dental emergencies include a terrible toothache or a tooth that is chipped or broken. Garden Grove emergency dentists are trained to handle these types of dental emergencies quickly and as painlessly as possible. A loose or lost crown is a common dental emergency that often occurs while you are eating hard or sticky foods. If you are able to find the crown, rinse it with water and fill the interior of the crown with toothpaste or over-the-counter dental cement. Place the crown back over the tooth if possible to protect the tooth from further decay. Visit your Garden Grove emergency dentist as soon as possible to have the crown repaired or replaced. Broken or loose braces and wires are a common dental emergency that can definitely interrupt your vacation. If you have orthodontic wax, use a small amount to fasten the braces or brackets to the teeth temporarily. A broken wire should never be cut. Simply push the wire into a more comfortable position in your mouth using the eraser end of a pencil. 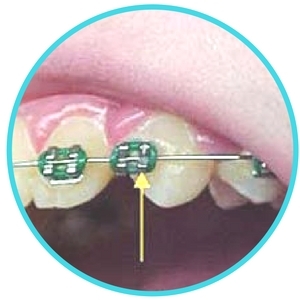 Cover the sharp end of the wire with a small cotton ball or a bit of orthodontic wax to protect your cheek and gum. 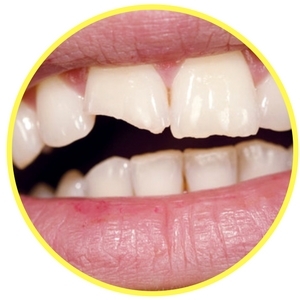 A chipped or broken tooth can be the result of a fall or might be due to tooth decay. If you are able to find the broken portion of the tooth, bring that with you to visit your Garden Grove emergency dentist as soon as possible. Use a cold compress on the outside of the mouth to lessen any swelling or pain that you might feel. Use a small piece of moistened gauze to control bleeding by applying gentle pressure for at least 10 minutes. Your Garden Grove emergency dentist is well-trained to provide this type of procedure if you have a tooth that has decayed beyond the point where it can be repaired. The procedure should be accomplished as soon as possible in order to avoid complications and an increased need for medications. The dentist begins the emergency extraction by first taking an x-ray and performing an examination of the tooth. 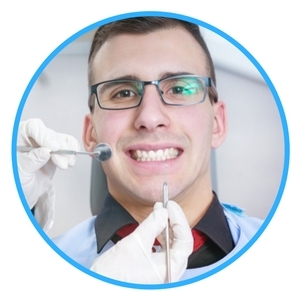 General or local anesthesia is offered to keep you comfortable throughout the extraction. A special dental tool is used to remove the tooth from the gum, and the dentist closes the gum using sutures that dissolve over time. A small bit of gauze is placed over the gum to control any bleeding, and full healing usually occurs within one to two weeks of the procedure. Following the extraction, it is important for you to follow your Garden Grove emergency dentist’s instructions carefully. Avoid drinking through a straw or eating hard foods for a few days. Avoid smoking or drinking alcohol until the gum is fully healed. If you are given medications, take them as directed. A visit to a hospital emergency room is very important if you have a dental emergency that begins with a sports injury, a fall or even a car accident. In these cases, a dental emergency might include a broken bone or a concussion along with tooth trauma. An emergency room physician should examine your injury in order to ensure that you are healthy enough to visit a dentist for a tooth repair. Your Garden Grove emergency dentist is fully prepared to deal with any type of dental emergency that does not include injury to any other part of your body. He or she offers services that are often less expensive and less time consuming than a visit to the emergency room. Use the American Dental Association’s website to discover information regarding your new Garden Grove emergency dentist’s licensing and certifications. 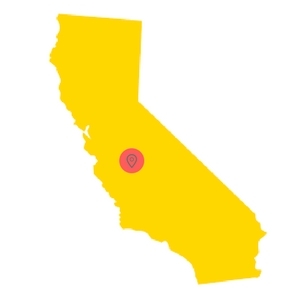 You can also check out dentists in the state of California on the California Dental Association’s website. The website offers excellent information on dental care in the state of California.